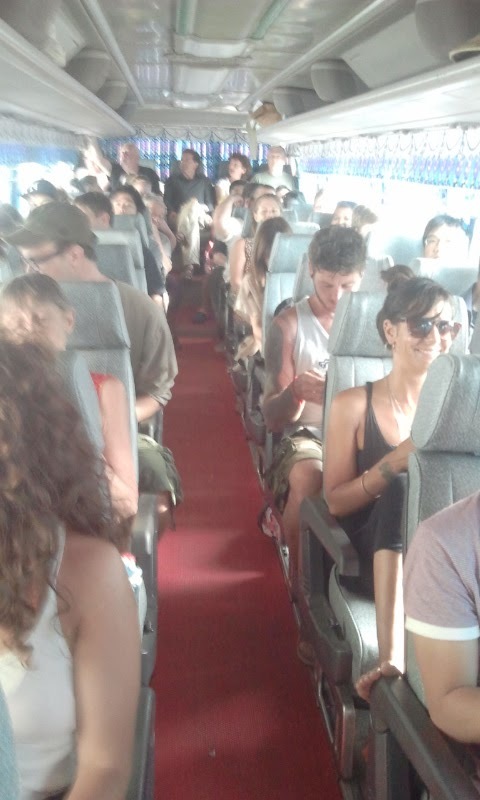 We were trying to get from Siem Reap to Bangkok overland and we looked at trains on seat61 and we found very little information online about the bus transport. 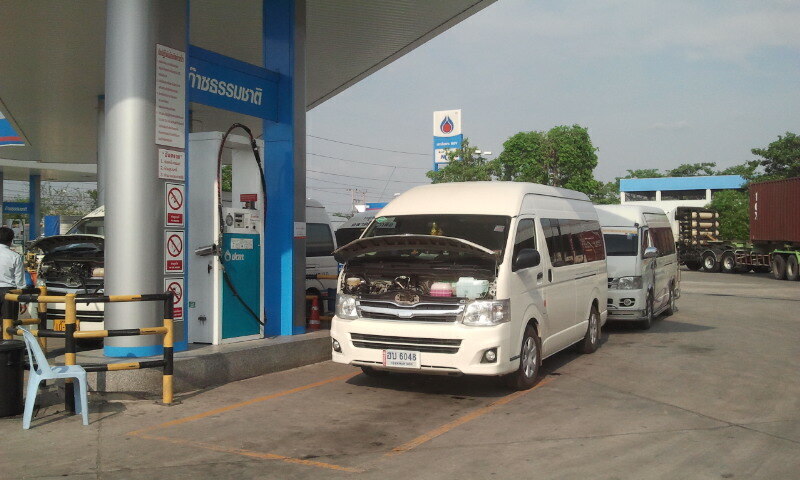 Most guesthouses, hotels and hostels will provide booking on buses for guest but they provided very little information on who the provider would be so we decided to goto the offices directly and analyze for ourselves. 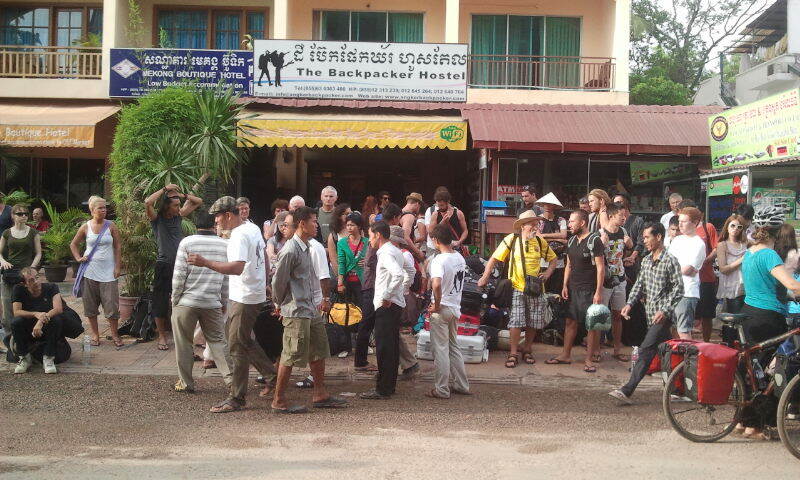 There are also a ton of travel agents in downtown Siem Reap that seem to offer tickets for the buses. 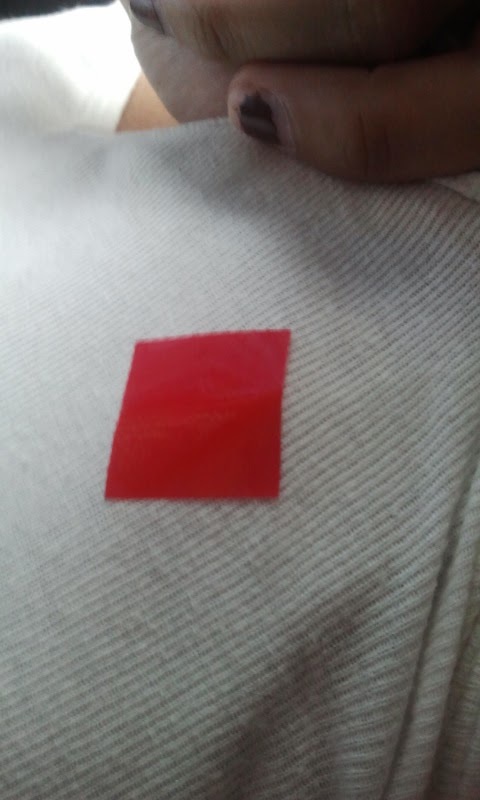 After spending a half a day trying to figure this out we ended up buying a ticket from Two Seasons Travel which seemed like the most trustworthy. The tickets were approximately $15 per person. 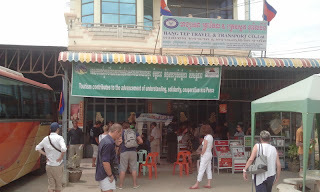 They sold us a ticket on the Hang Tep bus company which had little information about it on the web except for a few notes that said they often oversell tickets. The journey is basically from Siem Reap to Poipet (the border) then to Bangkok. 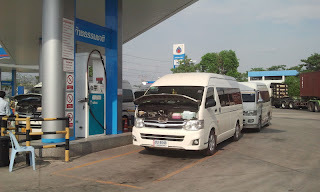 Overall, this was the worst journey we had in Southeast Asia but I'm not sure that there is a better provider available. The hardest part was from Poipet to Bangkok in the cramped minivan with luggage literally falling on people. While it is affordable to go by bus we would highly consider flying (much more expensive) or the more consistent train option. 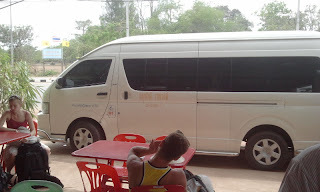 If you are in Cambodia or Thailand and want to start a bus business this is a route that could use some honest reliable bus transport with a very large possible customer base willing to pay more than the current prices. I would give Hang Tep bus service 1 star out of 5. 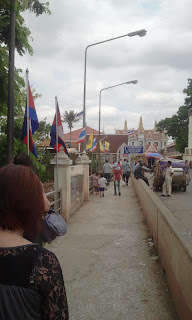 We tried to keep an accurate time table and take as many pictures to document the journey for other travelers. We arrived at the Cambodian Backpackers hostel in Siem Reap on our own Tuk Tuk as the agent at Two Seasons said if we waited for the free transfer we would not have our choice of seat. When we arrived we counted over 60 people which was worrisome as the agent who sold us the ticket had told us that the bus never sells for more than 40 people. No bus in sight - Given that we were waiting for over a half hour just watching loads of people show up we started to get worrisome as there was no bus in sight. Hunted down the bus - Around 8:05am I noticed that they were selectively asking a few folks to walk around the corner with them - trying to be discrete. So, I walked around the corner and saw a bus. 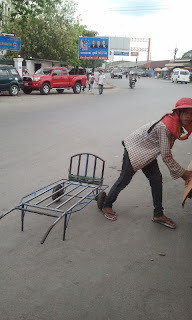 I grabbed my wife and we ran around the corner to get on when we found it already had 18 people on it with close to 60 people still at the hostel. We made our way onto the bus while we saw our bags thrown into the storage. The man in charge who was very rude claimed there would be room for everyone. Another bus showed up and they put a few people in minivans. Not sure if anyone actually got left behind but it was pretty chaotic. The driver would consistently answer his mobile phone and his assistant spoke loudly while sitting on a plastic white chair next to him. 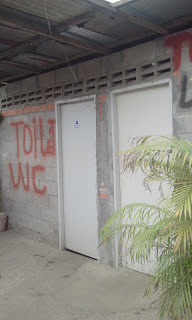 At our first stop to use the restroom they charged Real 1000 to use the restroom which were pretty bad conditions. The second leg of the journey was pretty uneventful. 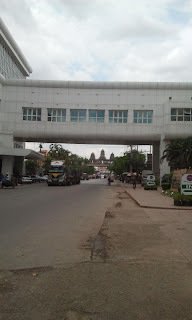 At our second stop to use the restroom was at the Poipet Hang Tep offices. 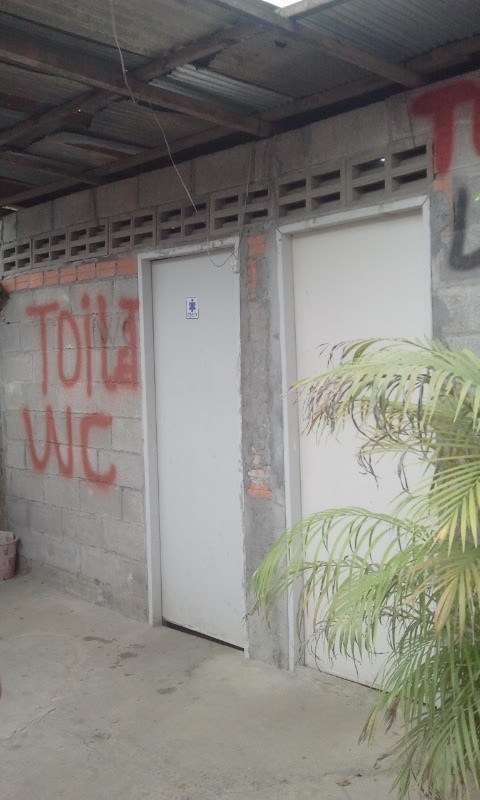 Bathrooms here were free and we were told we were only a few kilometers away from the border. You are given stickers to place on your shirt that says where your final destination is. Kid porter scam - Driver calls a bunch of kids to "carry" our luggage when it gets off the bus. they literally grab it as it comes off the bus and load it onto their carts. 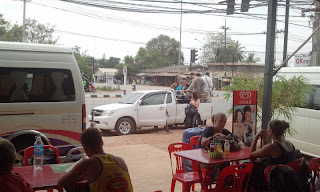 Everyone on our bus was smart and took their luggage back but you have to keep a keen eye on it and note that it was all instigated by the untrustworthy drivers at Hang Tep. No one from company at the border - just told to cross and someone will meet us on the other side. 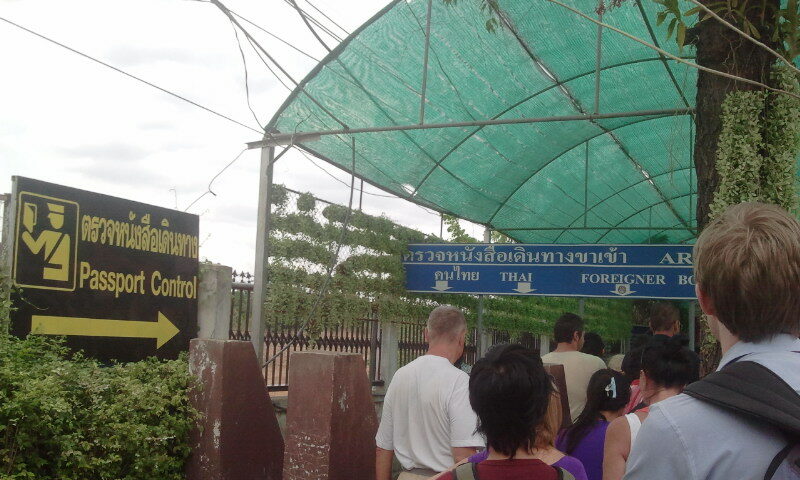 You check out of Cambodia and then check into Thailand. There is ~100 yard you have to walk. 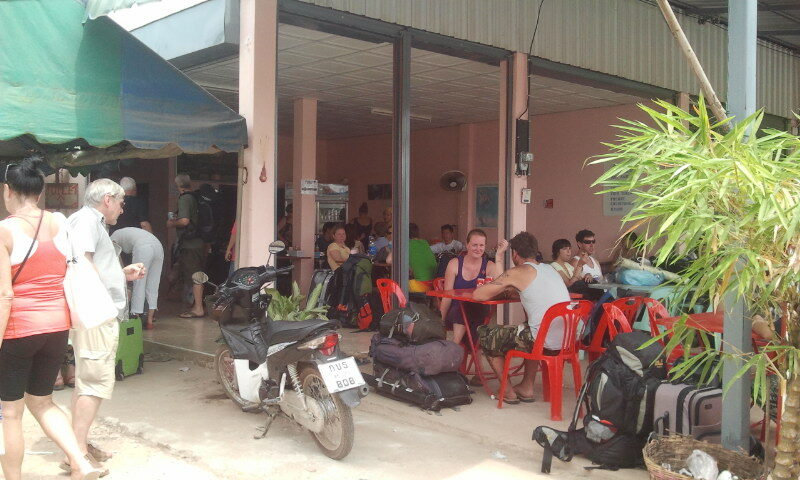 After the Thai crossing there is a Hang Tep gathering people. 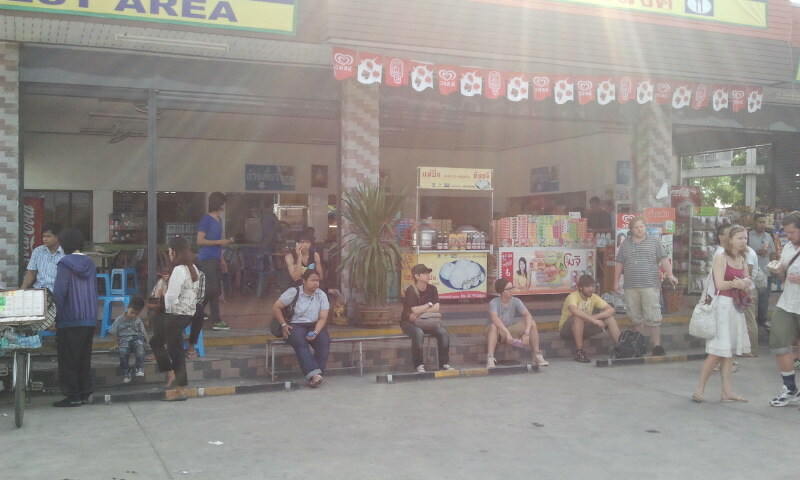 We waited after the boarder for the group and then minivans to come take us to the next stop - a restaurant. At the restaurant there was clearly a shortage of minivans to take us to Bangkok. So we were agressive again to get on one of the earlier ones. 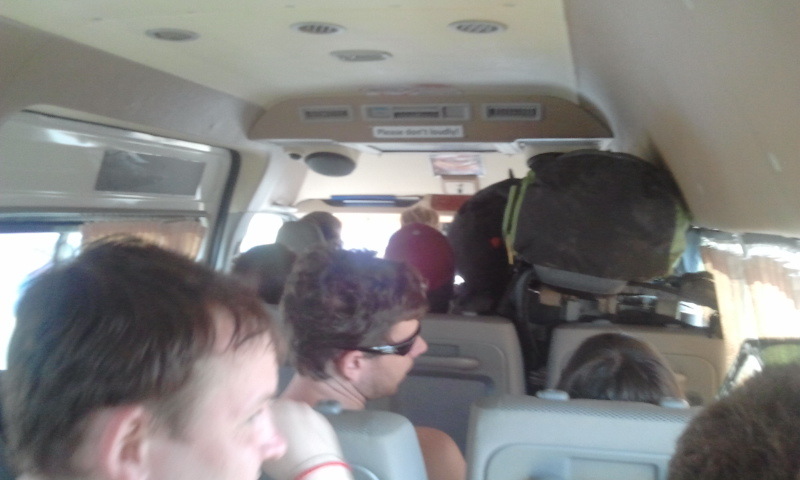 We were packed into the minivan with luggage literally falling on top of people, no leg room and very hot conditions. Terrible journey. 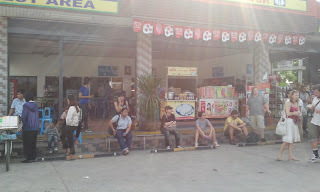 Stop for gas. These natural gas minivans have very small tanks so you stop very often.